This beer is dam coastal. 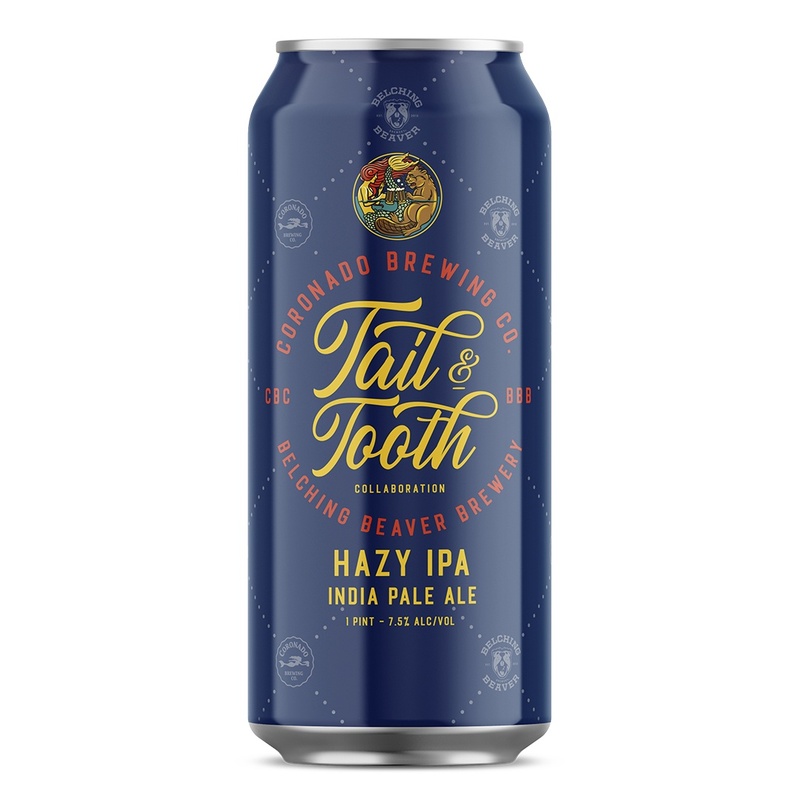 Coronado Brewing and Belching Beaver put their tails together and brewed one epic hazy IPA. It’s brewed with a blend of Idaho 7 and Azacca hops for an intensely tropical and piney beer fit for mermaids and beavers alike. Our first foray into sour beers began more than three years ago. Our good friends at The Libertine Brewing Company road tripped from the Central Coast to San Diego to drop some serious sour knowledge on us. We inoculated a dozen oak bourbon, wine and brandy barrels with a blend of brett, lactobacillus, and Libertine’s house culture. Fresh blonde ale was added and left to funky for three long years before getting dry-hopped with a blend on Mosaic and Calypso. 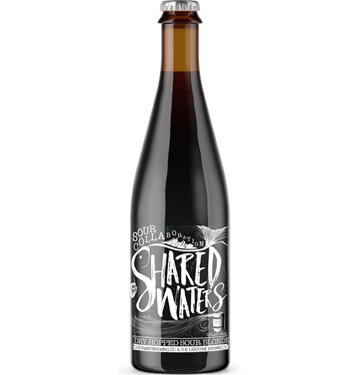 The result is ‘Shared Waters’- a tasty and mouth puckering expression of our shared coastal roots and appreciation for all things sour. Bleu Cheese with Fruit. Mussels. Cured pork and other salty meat. 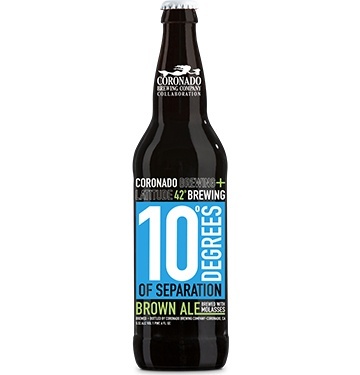 Like the Conquistadores exploring new lands, Coronado and Cigar City Brewing have set out to brew an IPA in uncharted waters. 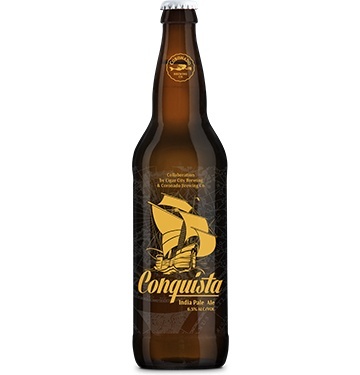 Conquista showcases the recently introduced German hop, Polaris, known for its high alpha acids and distinct pineapple and herbaceous notes. 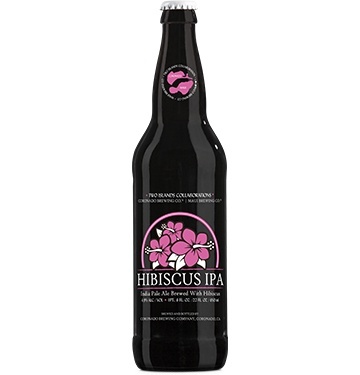 This collaboration IPA is sure to stake claim on your taste buds. Drink for a Good Cause! Even when our brewing partners originate in places far removed from our Southern California home, we will speak the same language: BEER! In the case of our collaboration with Sweden’s S:t Eriks Bragger, we aimed to create a colorful IPA brewed with pomegranate. A contemporary blend of Australian and German hop varieties hoping to arouse a touch of fruity tartness and hidden touches of cranberry and tropical fruit punch-like flavors for your senses to feast upon. Bear Republic Collaboration | By Land & By Sea. 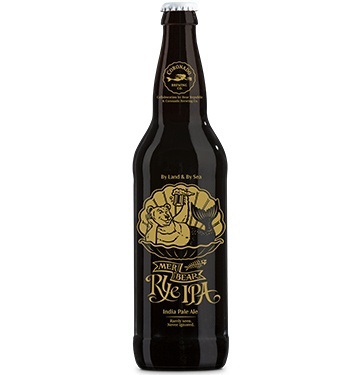 This limited-edition Rye IPA is a collaboration with Northern California’s fiercely iconic Bear Republic Brewing Co. With Amarillo, Hallertau Blanc, Centennial and Equinox hops, this beer’s got a pungent, fruity character that ends on a spicy, malty caramel backbone. 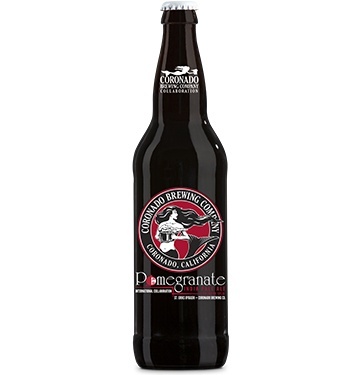 Try this unforgettably robust ale. It’s the best of both worlds and the beast of all brews. 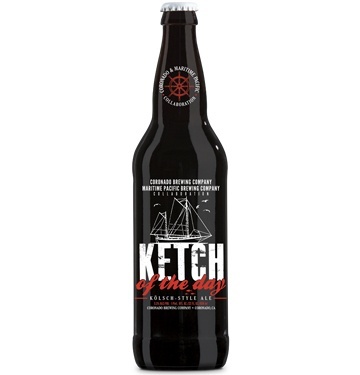 We suitably name our collaboration with Seattle’s Maritime Pacific Brewing Company after the “ketch,” a sailing vessel sporting dual masts that once trolled the waters of the Baltic and North Seas. Fittingly, we produced a beer hailing from Germany, a country bordering both those bodies of water–a refreshing, highly drinkable Kolsch-style ale given tropical, citrusy aromas and flavor from late additions of Amarillo hops. Southern California and Southern Michigan are far removed—10 degrees latitude to be exact. Palm-ridden beaches and salty waters versus beautiful birch forests on the “Great” Lakes—the two destinations are worlds apart. Yet, the booming craft beer culture saturating each of these regions provides common ground for their inhabitants to bond over, or in this case, collaborate over. This Northern English-style brown ale is our combined handiwork with Michigan’s Latitude 42 Brewing Company. Bridging distance over this silken, reddish-amber brew proved a successful endeavor. 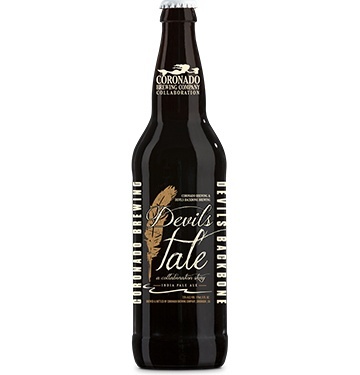 Rich malt aromas with toffee highlights give way to round, complex flavors while the addition of molasses provides a touch of sweetness in the finish. 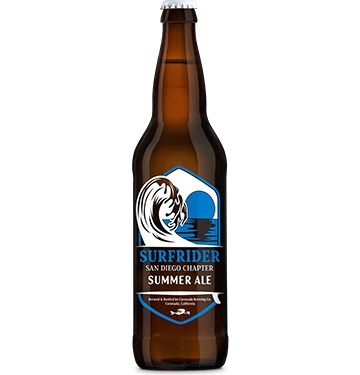 No matter where it’s enjoyed, this cooperative craft offering is sure to adjust your latitude. ‘Tis a tale of shared passion, mojo and simpatico that spells the impetus of this fine, collaboratively birthed IPA. Picture it, Washington, D.C., May 2014: Brewers hailing from both sides of the country find each other in a tightly packed room. They share beers, stories, and laughs, forming a friendship that will stretch far beyond SAVOR, the two-day beer-and-food fete that’s brought them together. Skip ahead to fall of the same year and it’s plain to see, 2014 has been a good year for both factions, with Coronado Brewing Company being named Champion Mid-Sized Brewing Co. and Brewmaster at the World Cup and Devils Backbone Brewing Company capturing Champion Mid-Sized Brewery of the Year at the Great American Beer Festival. Such feats are made to be celebrated and, in the brewing industry, beer is how that’s done. This is the first of two collaboration beers this dynamic duo will brew—an IPA given bright citrus and tropical fruit character care of Centennial and Mosaic hops, plus a burst of woody rusticity from Northern Brewer. Consider it Chapter One to an epic saga that’s only getting started. 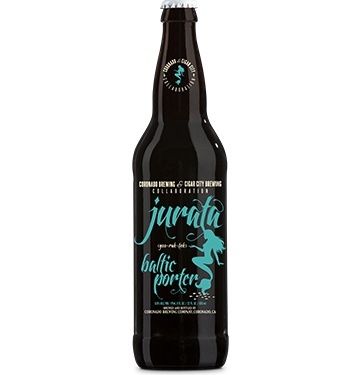 When naming this Baltic Porter, a collaboration with Tampa’s famed Cigar City Brewing, we opted for Jurata as a nod to a mythological mermaid known to roam the depths of the Baltic Sea, just as the energetic yeast used to brew this deep, dark beer navigated our fermentation tanks. Dive in and enjoy Jurata’s true-to-style dark fruit, chocolate, grain and nut-like flavors. 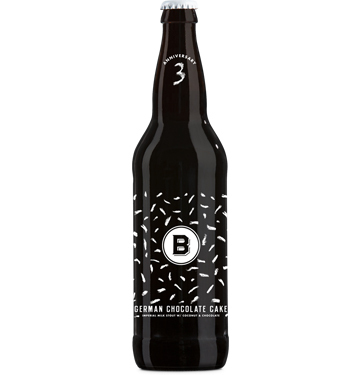 Partnering with one of San Diego’s most prominent bottle shops, we were able to create a rich, creamy milk stout to celebrate their 3rd Anniversary. Pronounced malty notes give way to smooth touches of coconut that leave a subtle hint of sweet German Chocolate Cake–the thick, decadent mouth feel will have you asking for one more piece…bottle.